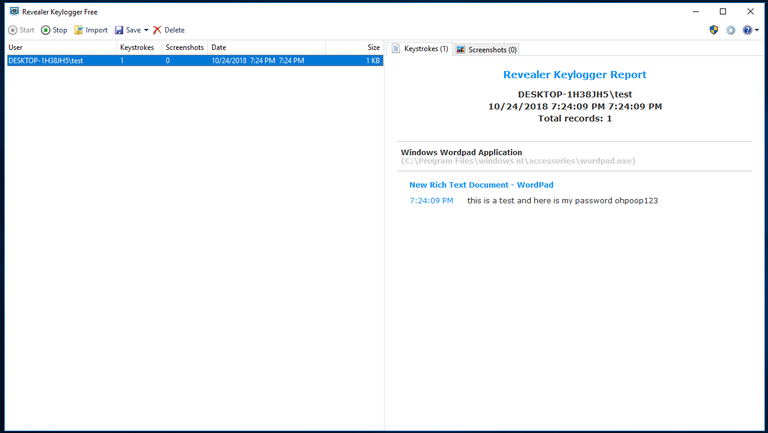 You can find keyloggers for Windows here. That’s the easy part. The ones I’m featuring in this article have two advantages over the others I’ve checked out: They didn’t trigger Windows Defender when you downloaded or installed them, suggesting that they’re neither a trojan horse nor something easily picked up by another user’s system, and they’re already compiled into an easy-to-use installation program. The free version of Revealer Keylogger offers a pretty no-fuss way to record that which is typed into a system. Like Spyrix, the app’s icon lives in your task bar for anyone to see if you don’t remove it manually. That said, its primary screen (and settings) also hides behind a keyboard combination – CTRL+ALT+F9, by default. This article appeared in lihehacker with about 500 ads – no need to thank me.